It’s never to late to know what you’re working on during 2018. 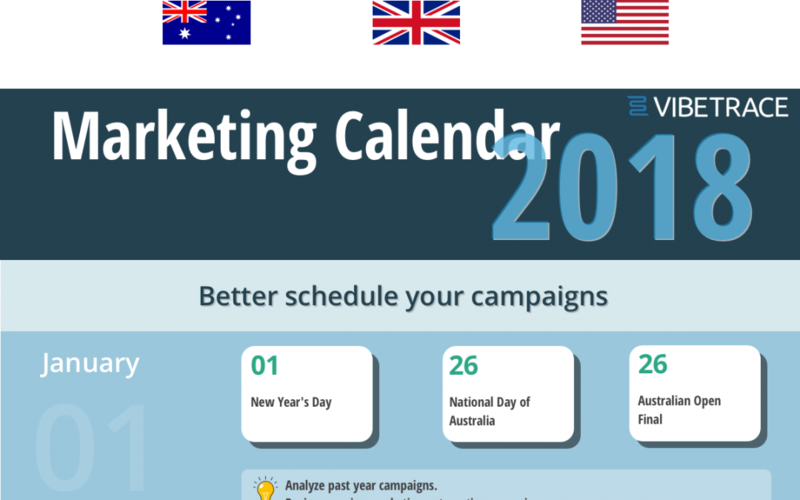 Like any other year planning your marketing campaigns based on a calendar is the best way to convert like crazy. So here it is, an infographic for the 3 countries with mostly English speaking population: US, UK and Australia.